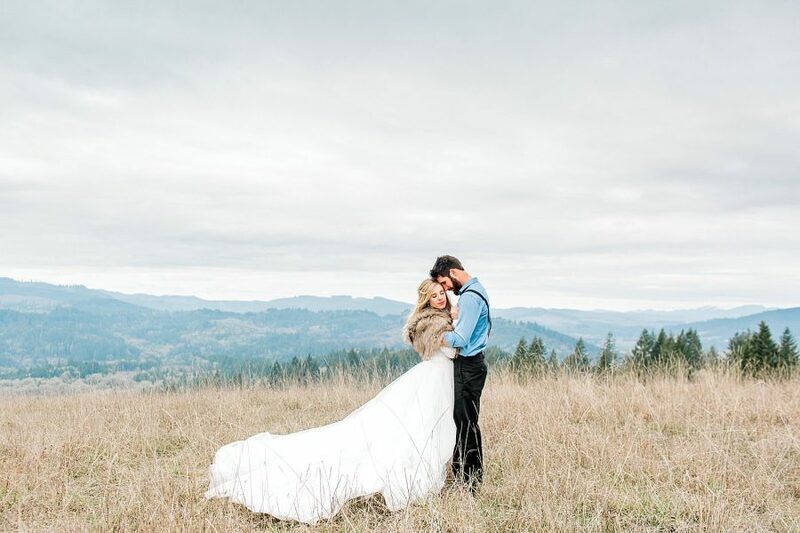 “I vow to stand by you and support you as you lead our family for the rest of our lives. 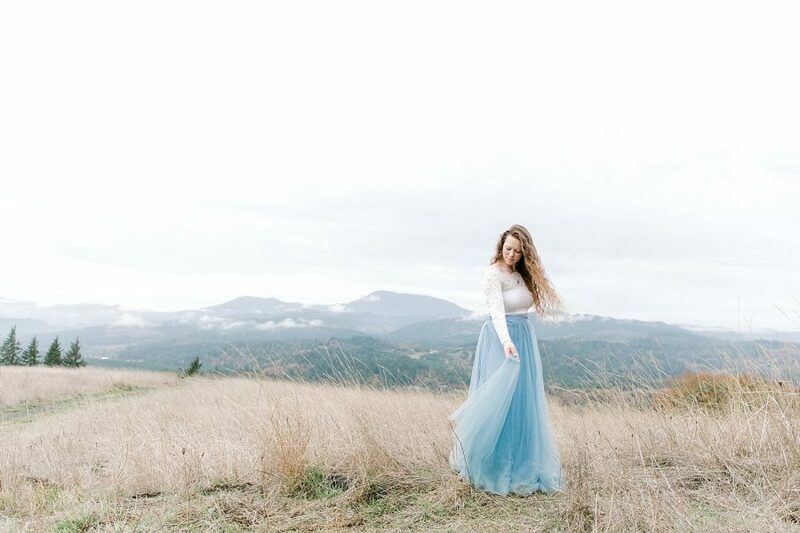 I vow to forgive just as we are forgiven by our Savior. 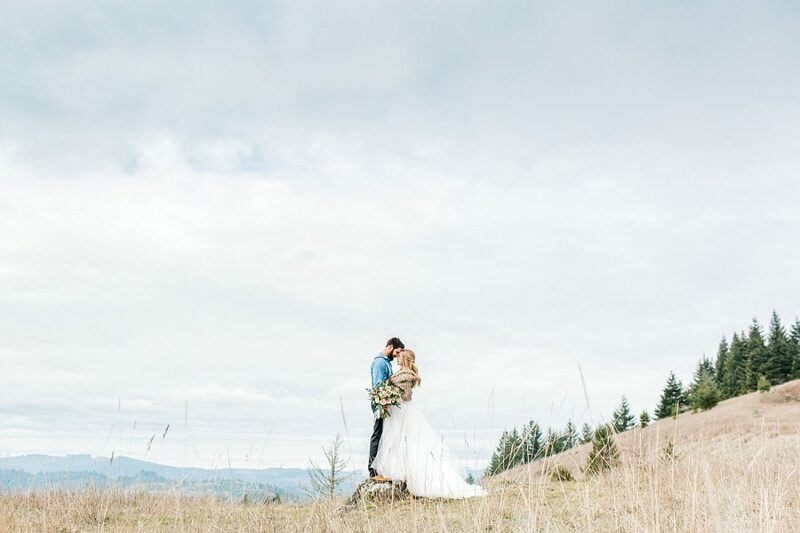 I will always point to you as the example for our sons to follow. 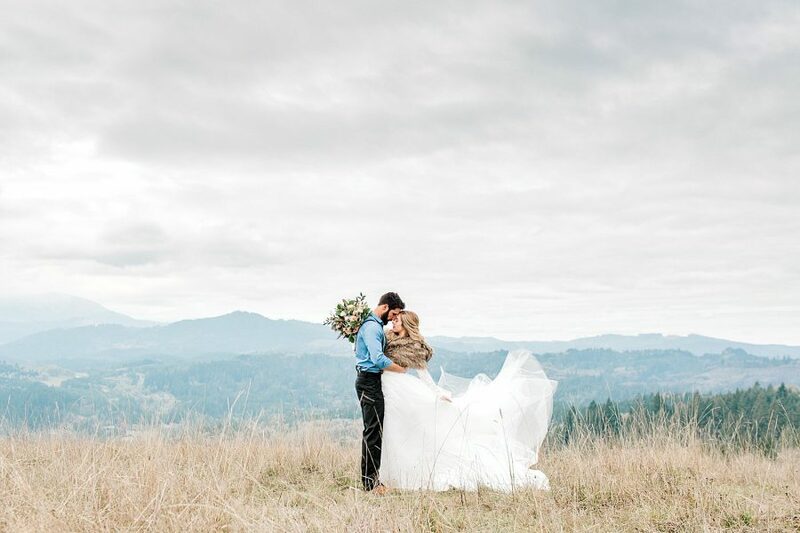 I promise to continue kissing, laughing with, working with, and trusting you as long as I live as God as my witness. 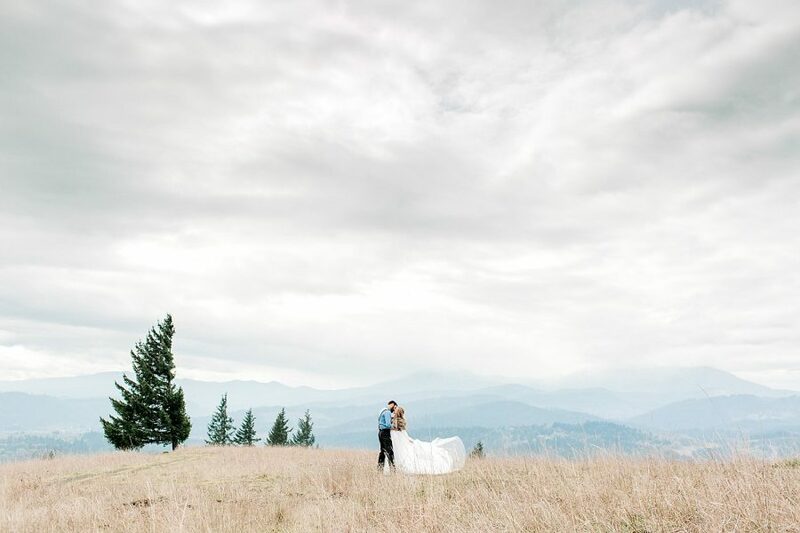 The dark clouds overhead threatened snow, but Sam & Liz didn’t seem to notice as they read their newly written vows to each other. 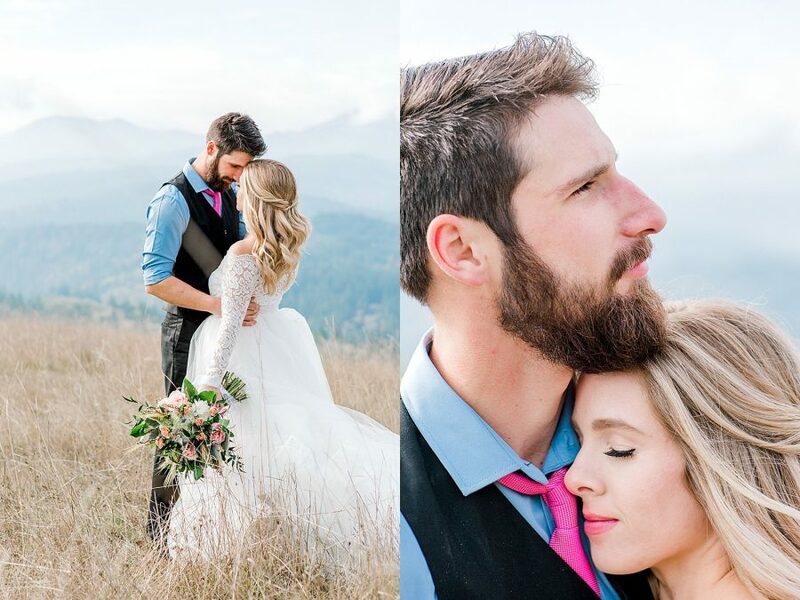 These two have been married for almost four years, and have two little boys together. 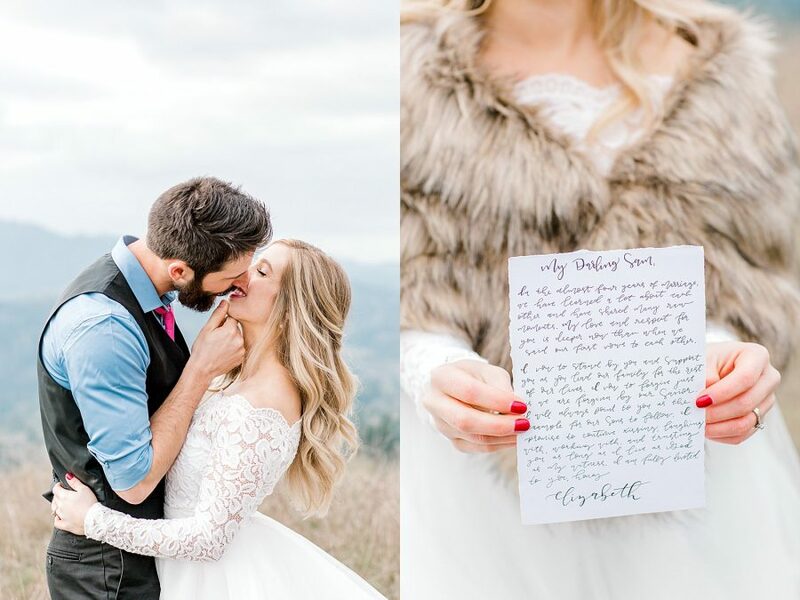 But one of the things that they regret from their wedding day is that they didn’t write personal vows. 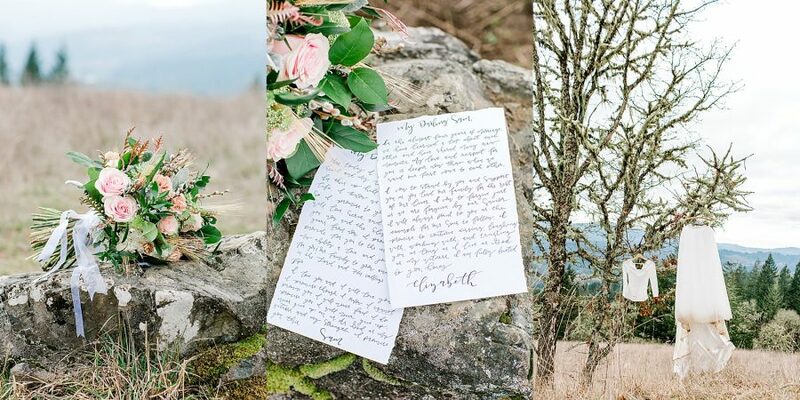 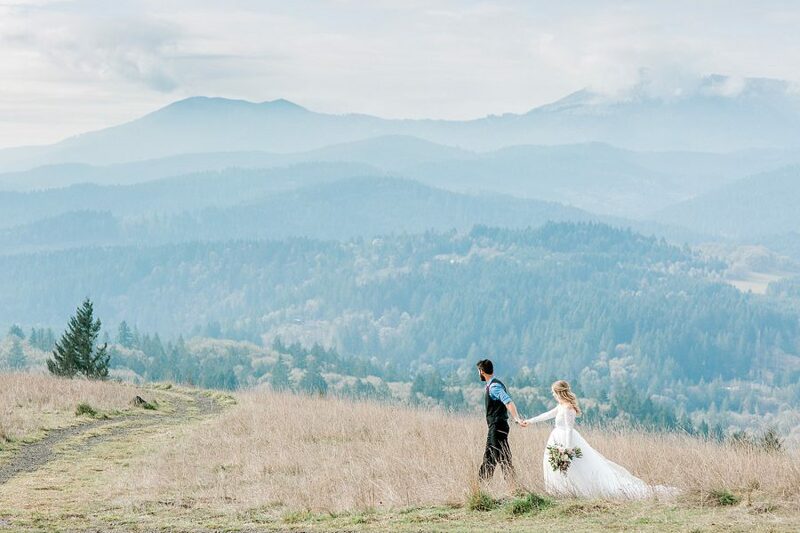 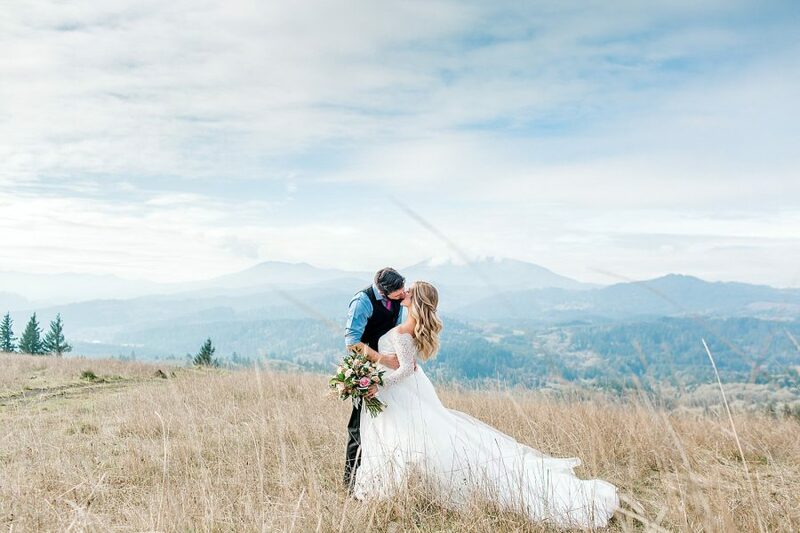 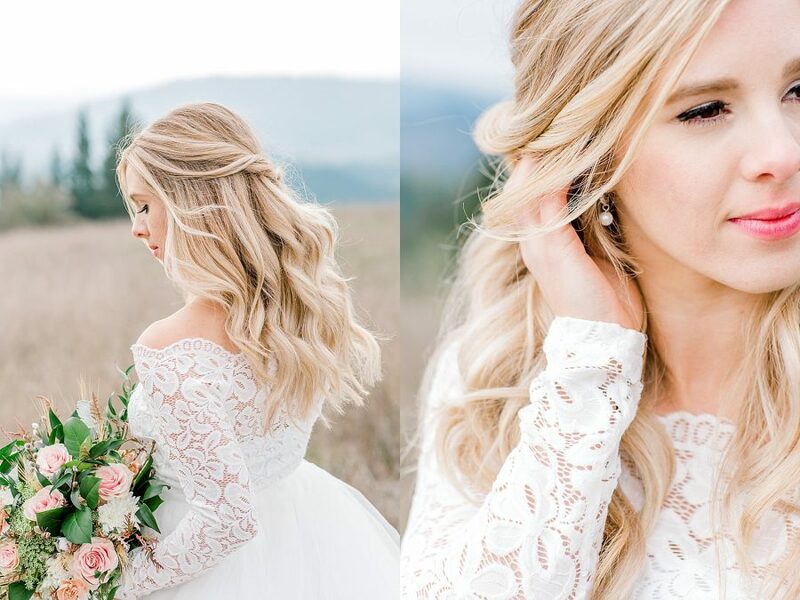 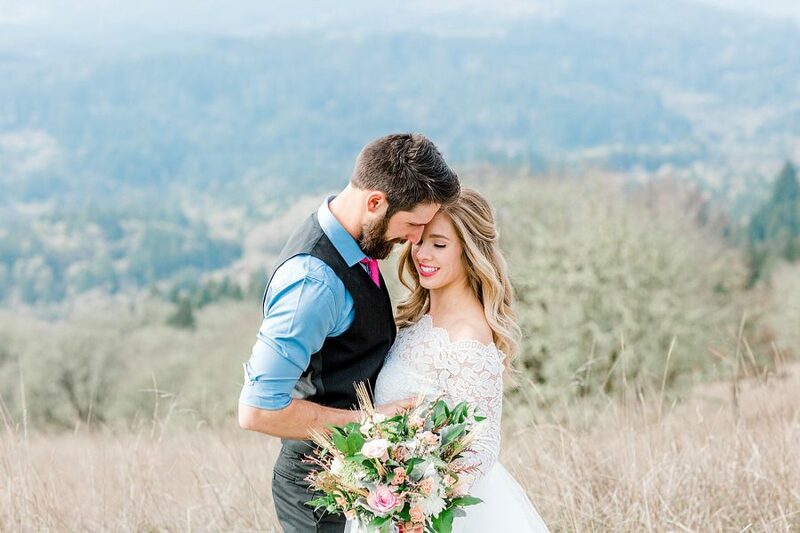 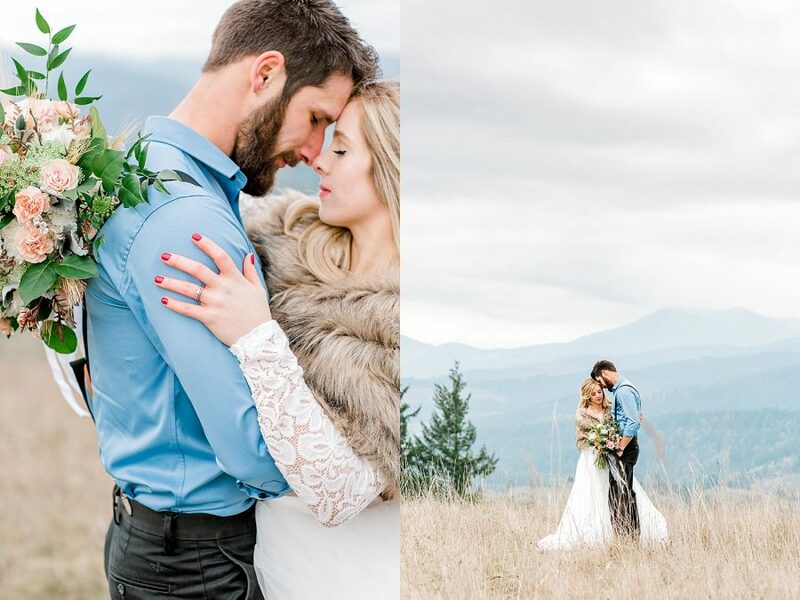 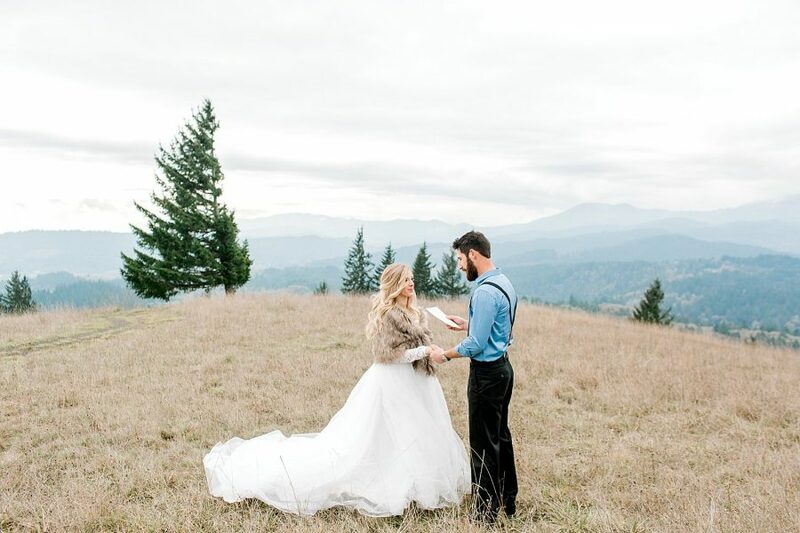 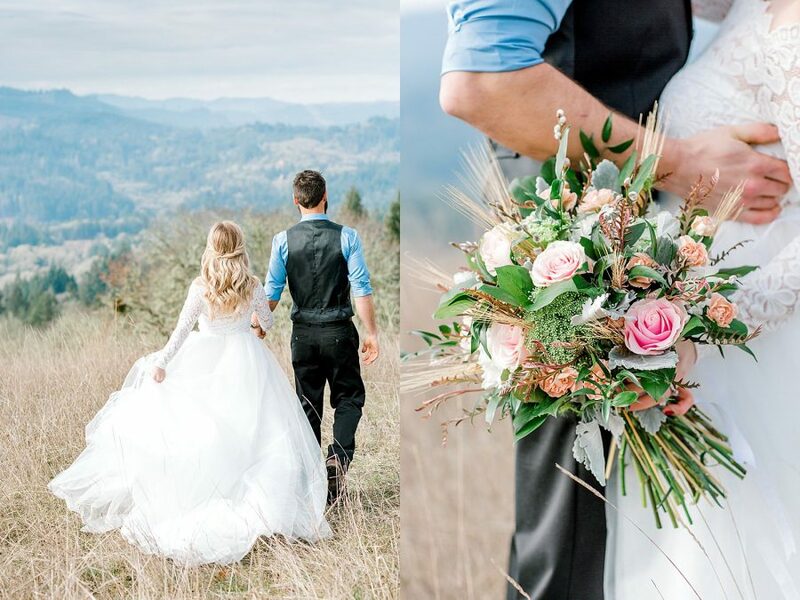 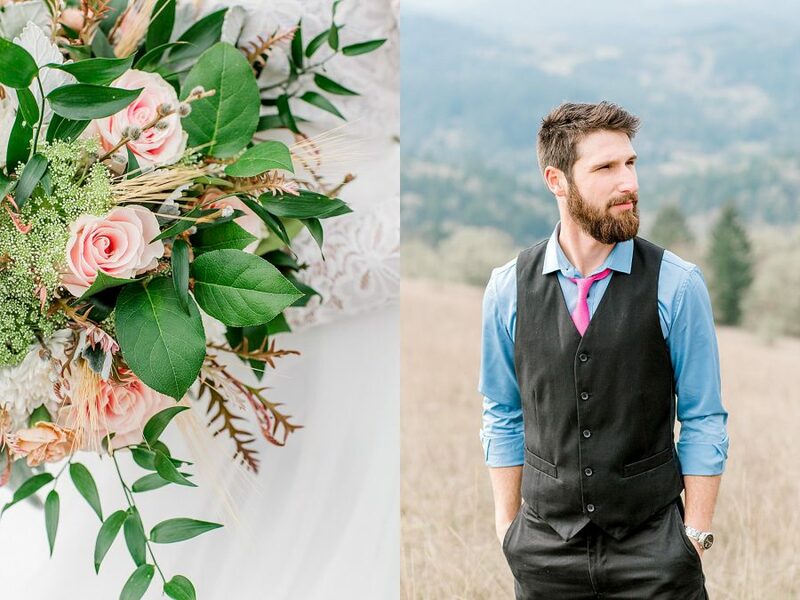 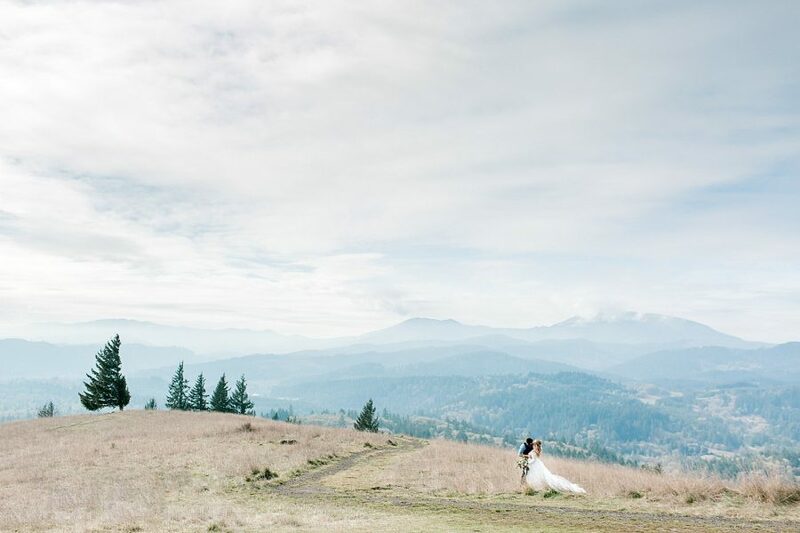 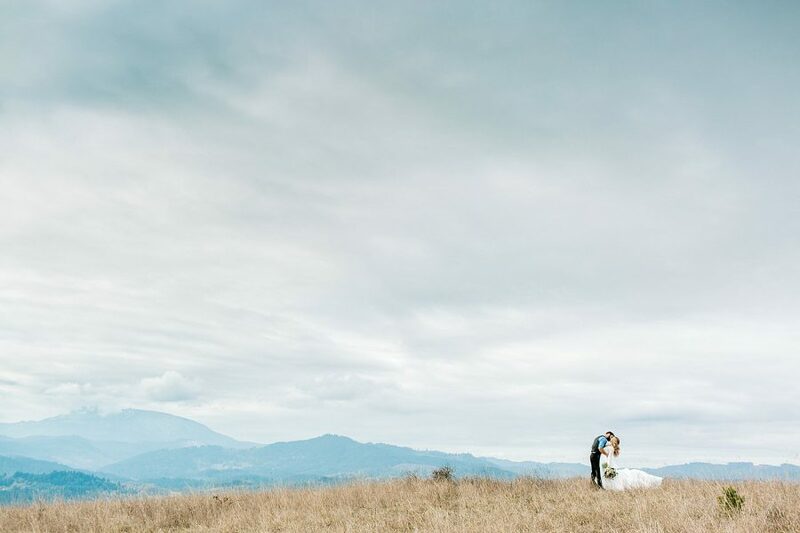 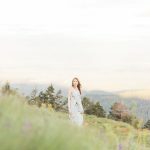 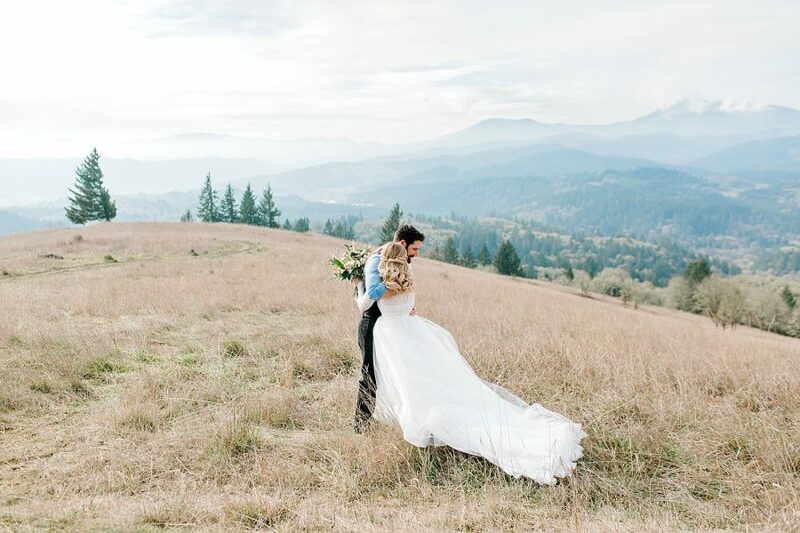 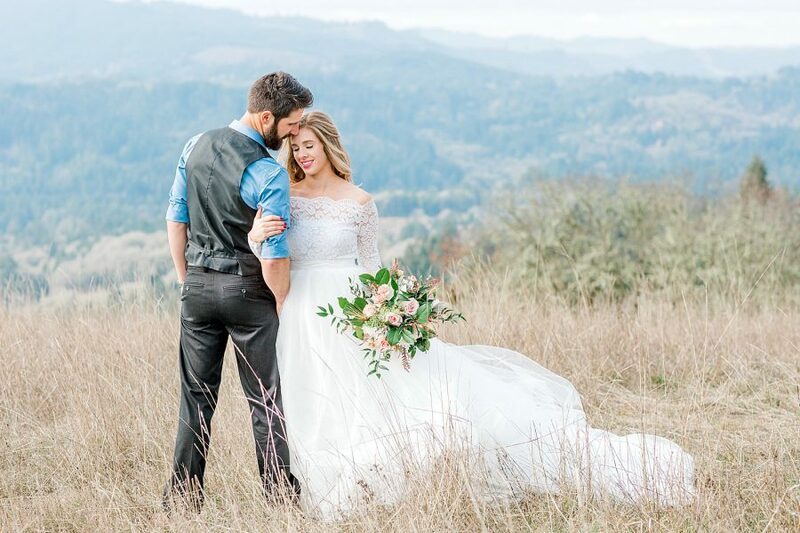 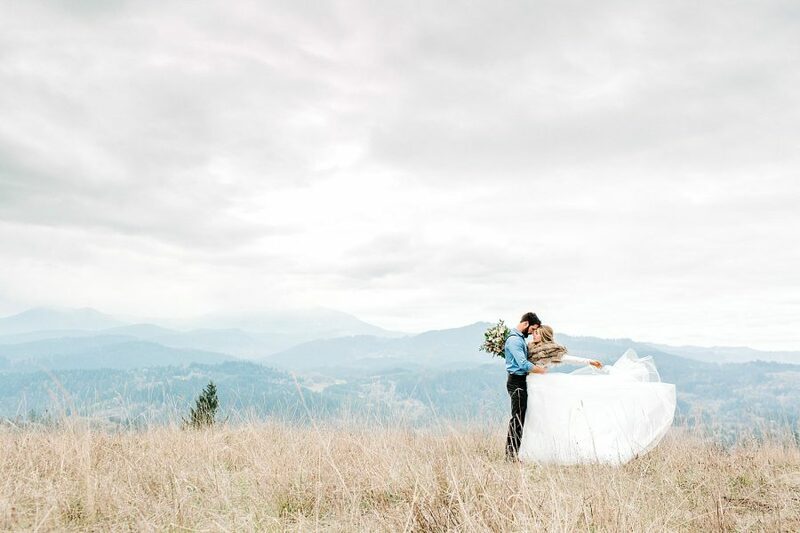 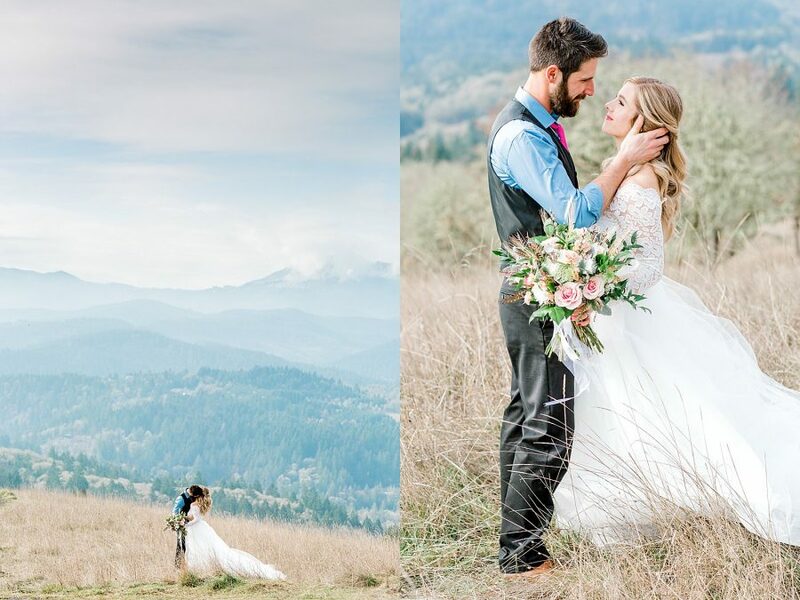 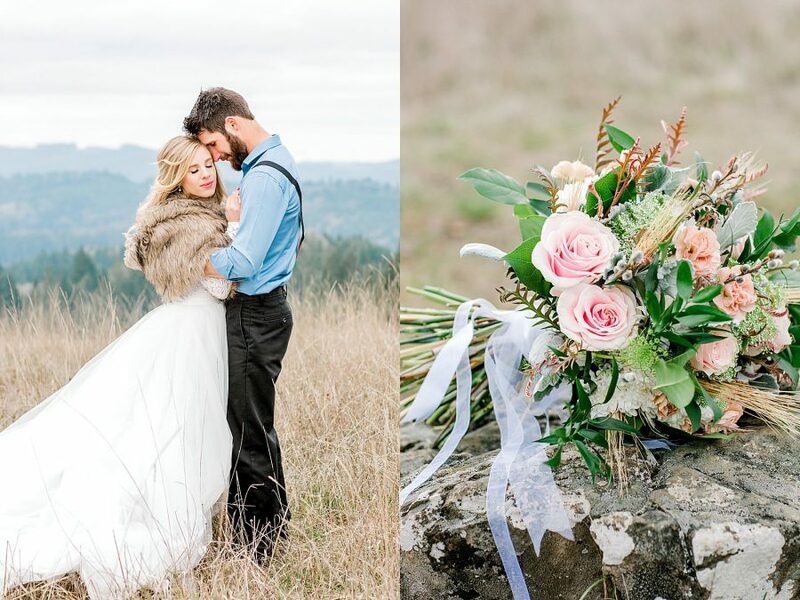 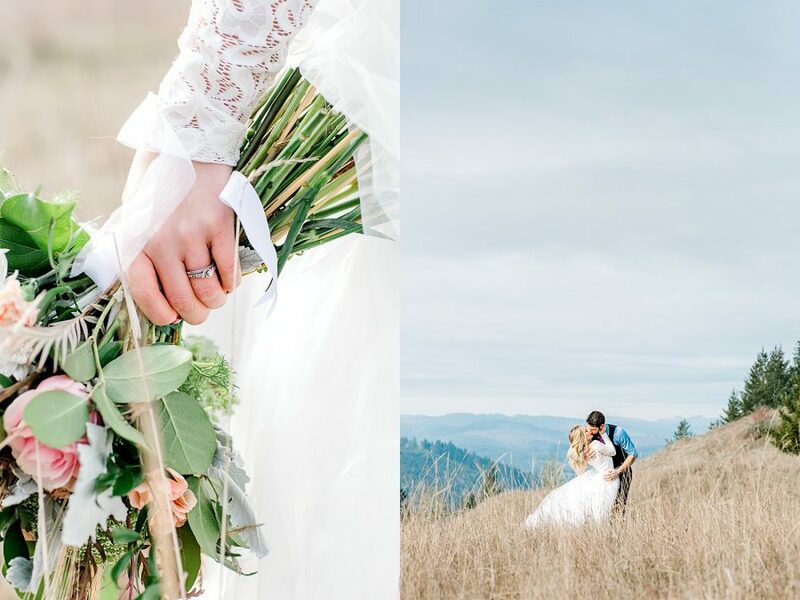 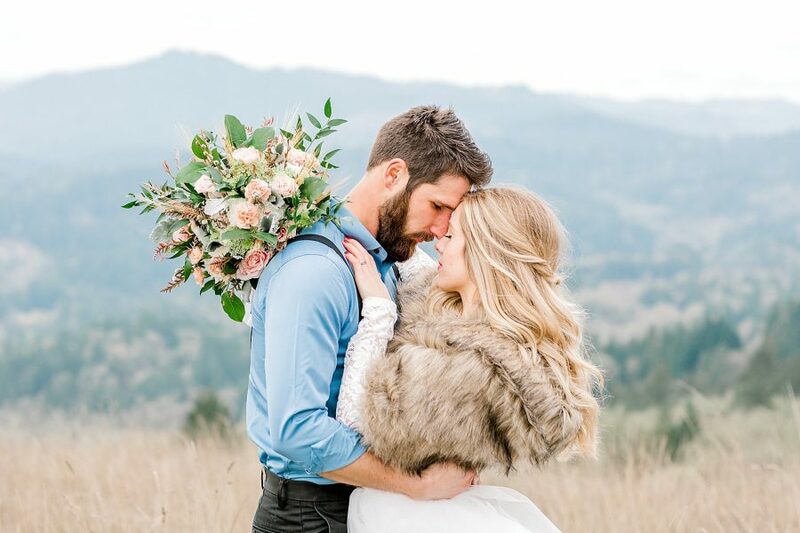 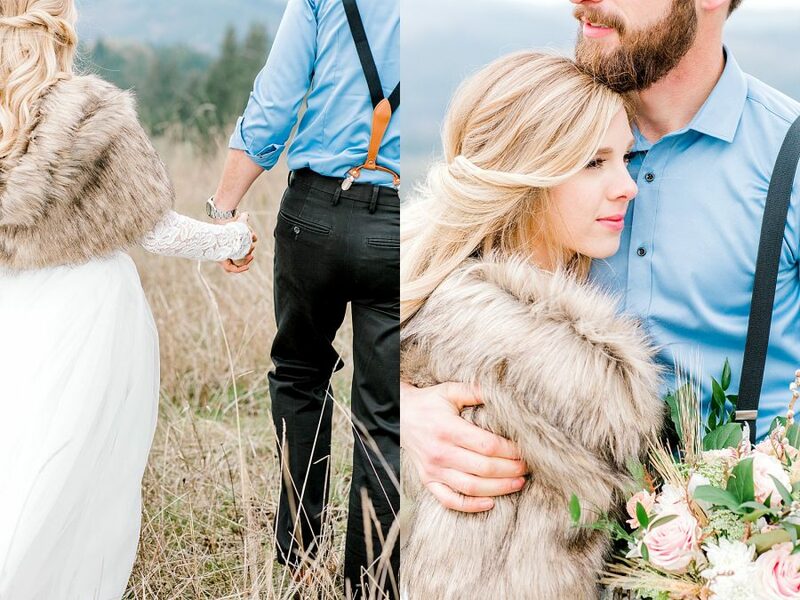 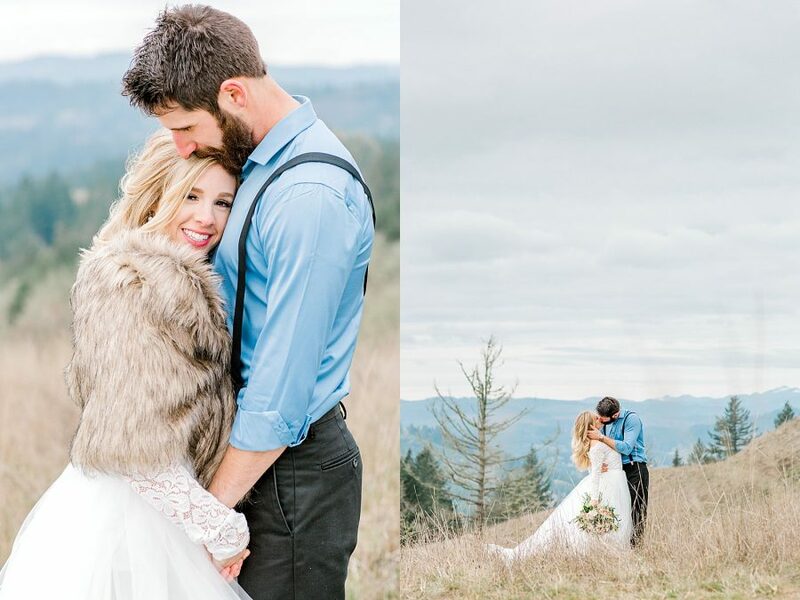 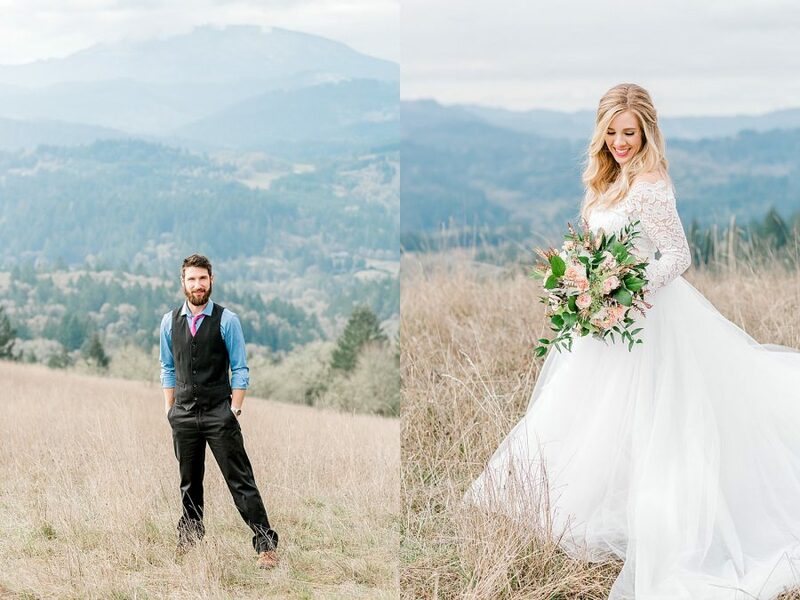 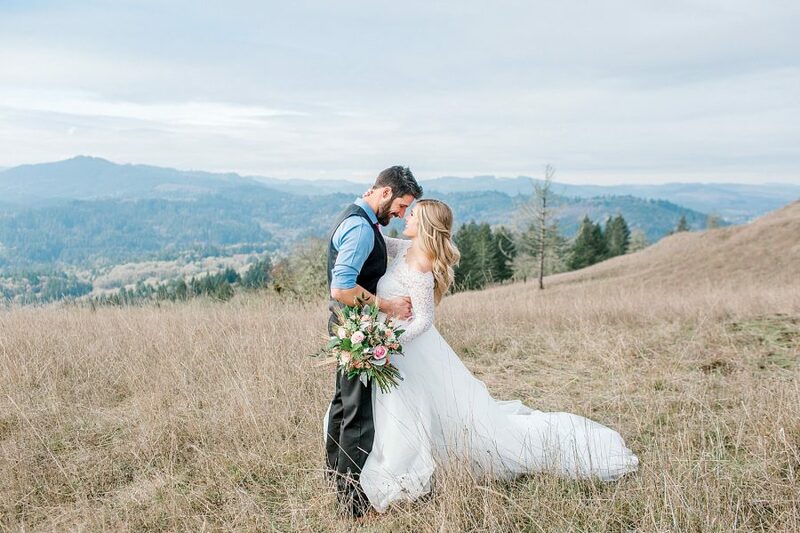 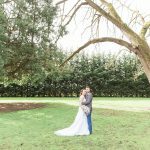 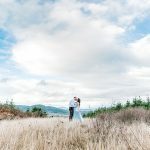 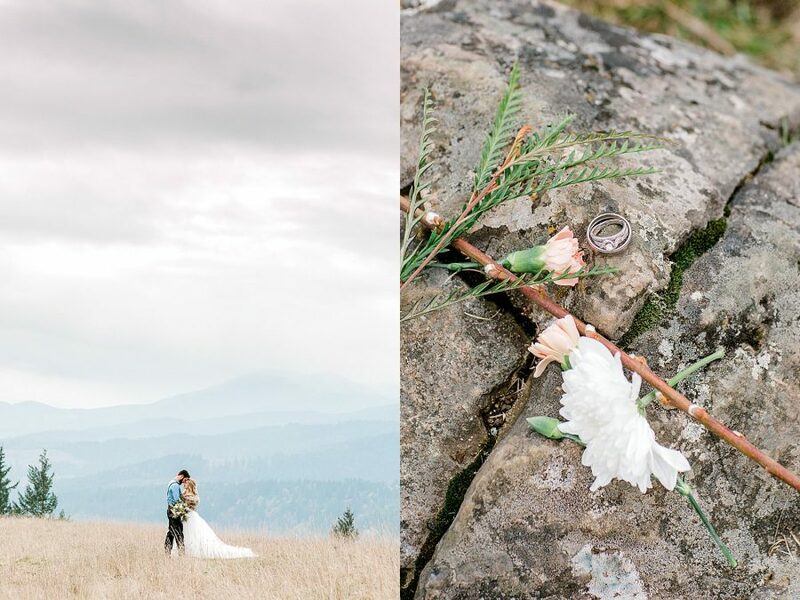 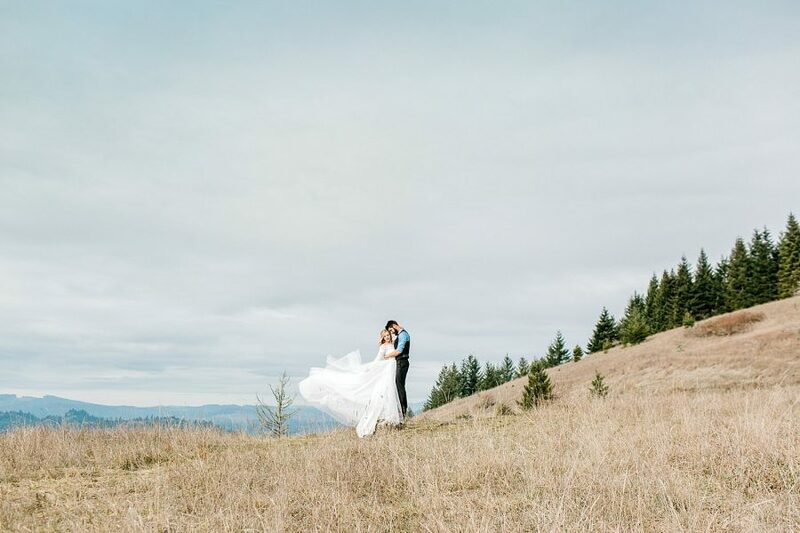 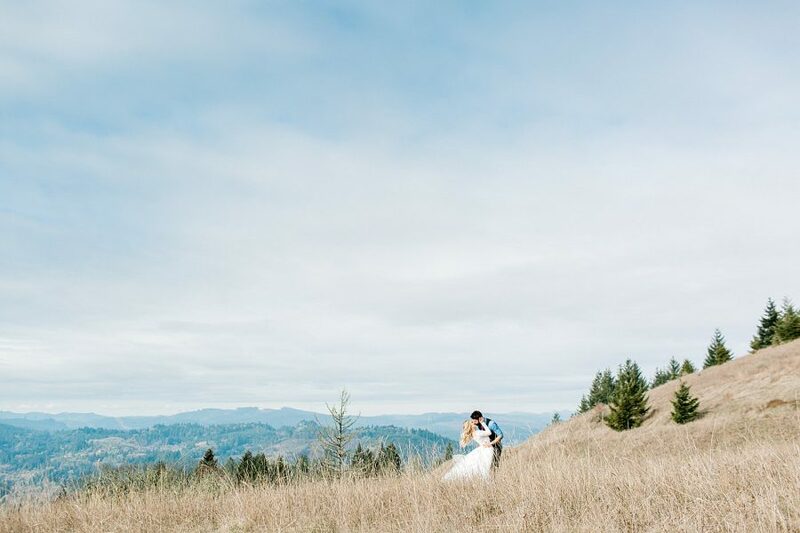 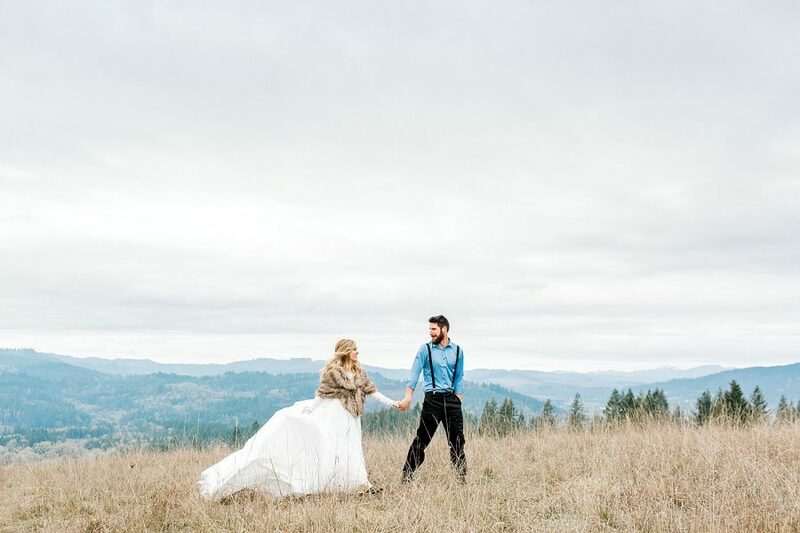 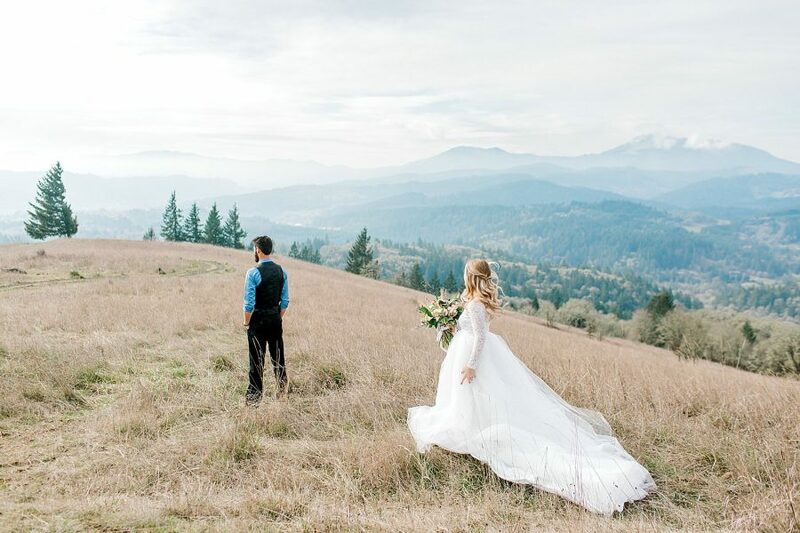 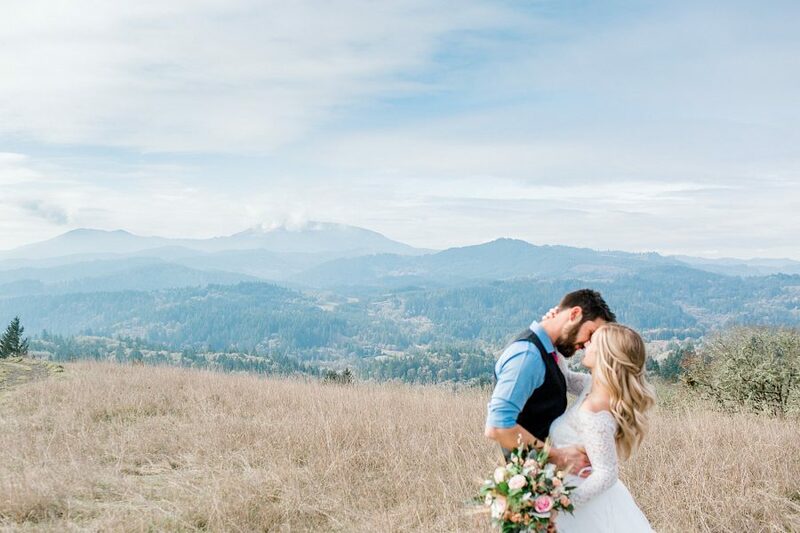 So earlier this month, I partnered with several other vendors to put together an epic vow renewal in the wintry rolling hills and mountains of Oregon. 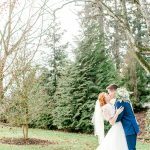 From the moment Sam first saw Liz during the first look, to the moment when they read their vows to each other for the first time against the backdrop of moody, blue mountains, to every tender glance and loving touch, this vow renewal had me feeling alllll the feels. 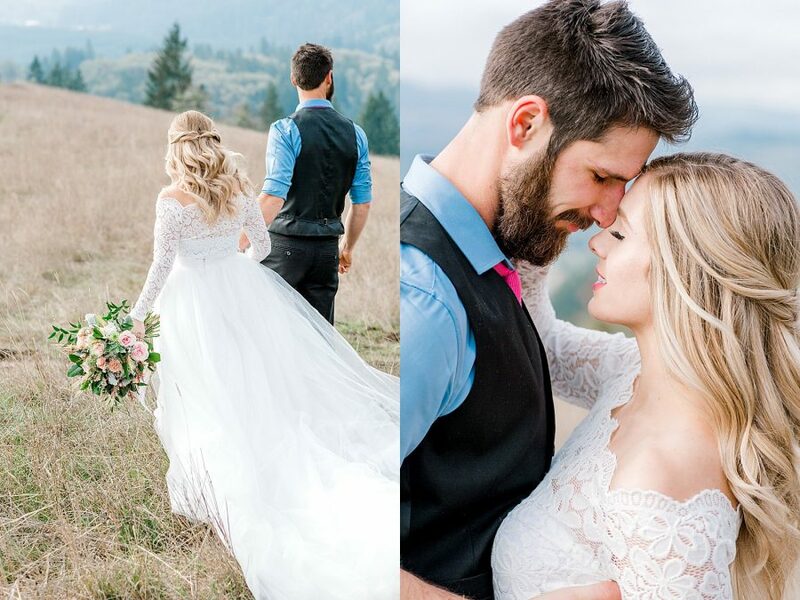 My sweet friend Jamie Peterson Images was photographing that day as well, so make sure to check out her Instagram to see what she captured from the day!